The Samsung Droid Charge has taken its time getting released. The device was supposed to be released on April 28, but was delayed on launch day due to a network outage. It wasn’t until May 13 that we were told the Charge would be available beginning today, May 14. The phone will be available on Verizon stores in the AM and online now. 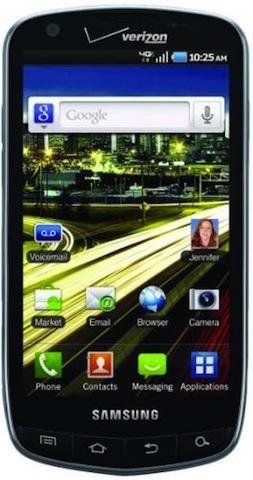 The Droid Charge, Verizon’s second 4G phone, will cost you $299.99 on a two-year contract, $569.99 outright.